Mushroom Bread Recipe - 5 ingredient appetizer that is ready in 15 minutes!! 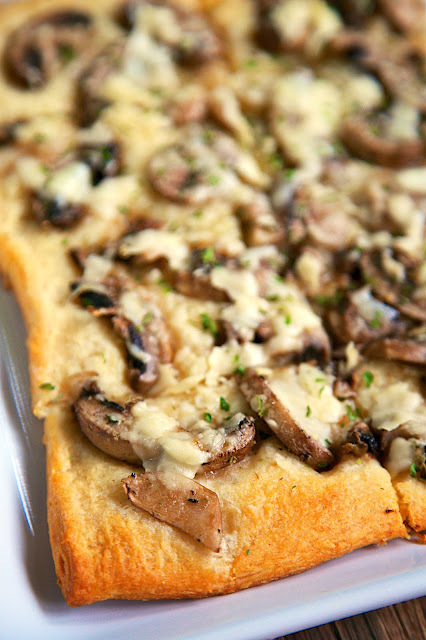 Mushroom Bread Recipe - 5 ingredient appetizer that is ready in 15 minutes!! This stuff is highly addictive. I could eat the whole thing myself! Great for parties. This Mushroom Bread incredibly delicious! I've had the recipe forever, but I haven't made it in ages. I decided to make it the other night because I knew Chicken Legs would like it. Well, Chicken Legs didn't like it, he absolutely loved it!! He didn't want to share this with anyone! 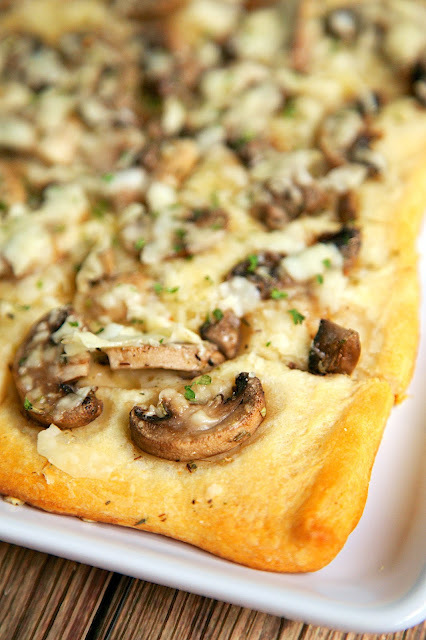 This Mushroom Bread is crazy simple. There are only 5 ingredients and it is ready in 15 minutes! This is perfect for a party appetizer or even as a side dish with dinner. 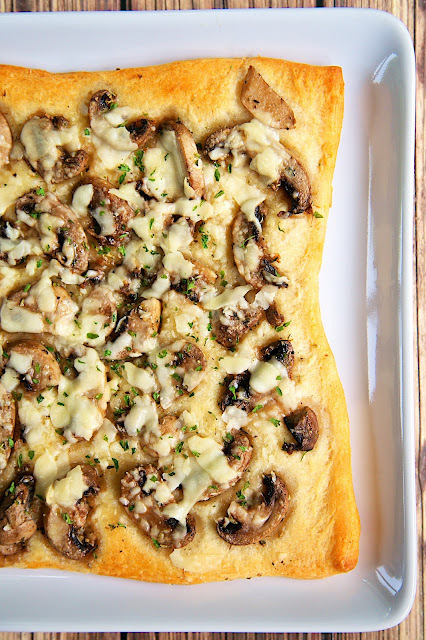 We are planning on having this Mushroom Bread this weekend for a little tailgate party. I will definitely double the recipe so there is enough to go around! Preheat oven to 375ºF. Unroll crescent rolls, do not separate. Press into a 9x13-inch pan. Toss mushrooms with melted butter to coat. Arrange over top of dough. Sprinkle with cheese and seasoning. Bake 15-20 minutes or until golden brown. Cut into squares and serve warm. Thanks for the recipe as Mr. Picky will eat mushrooms !!! I made this last night - everyone loved it! So good. Thanks Steph! We are heading to Nashville for Labor Day weekend. I have read your blogs and taken notes. Do you have any recommendations on where to watch Alabama/Auburn games on Saturday? Thanks so much. I love your recipes and following your travels. Barlines at the Omni is great! Tootsies on Broadway has TONS of TVs and always has all the games on. Saint Añejo is a Mexican place with a great bar and outdoor seating - they will have the games on too. Do I grease the pan before putting the dough in? I didn't because I used a large pizza stone to bake it on. I would lightly spray the pan with some nonstick cooking spray. I just ran across this via PureWow....could I use pastry dough (the store-bought refrigerated kind) instead of crescent rolls? I was thinking this could work as long as I score the dough about an inch in from the edge to create a rim around the mushrooms. Also thinking of carmelizing onion and mixing it in with the mushrooms. Is this the green can cheese? I used fresh grated Parmesan, but the green can will work fine too.